Today Beadsaholic brings a review of Ogerbeads Magic Hearts, Astra Fragments and Northern Star! It was a cooler day here in the south; however, only due to storms throughout the day, so as you can imagine it wasn’t a good day to be outside taking photos with my camera. This is when a light box comes in handy. I spent the better part of the evening playing with these beautiful beads from Ogerbeads. I really enjoy how beautifully they reflect the light, it is almost like there is a little universe of stars and planets in each bead! You will find shades of purple, blue, pink, violet and a hit of peach in these beautiful glass beads. They are truly amazing going from indoor light to outdoor lighting and the slight turn of the wrist. You will find yourself mesmerized at times. Ogerbeads Magic Hearts are truly magical! I love how the silver glass interacts with the fire to create a truly beautiful bead. You will notice there is some glitter in these beads and if you watch the video you will see how they grab and reflect light. Because the color looks different at each angle it’s hard to show it all in photos. Each Magic Hearts measures approximately around 23 mm high x 13 mm wide, so this is a large focal bead. This bead retails for €27, price includes vat. Ogerbeads Astra Fragements is a truly stunning bead and one that I would suggest multiplies in. This beautiful bead catches and reflects light like no other bead I’ve seen, looks like a true galaxy with shades of Blue, Lilac, Purple and hints of peachy pink and violet. It is difficult to catch all the beauty in a photo, so I urge you to watch the video at the end of this review. Each bead measures approximately 14 mm high x 7 mm wide and retails for €32, price includes vat. Ogerbeads Northern Star is a must have in pairs as it makes the perfect spacer in any composition. This bead is made of sterling silver and is a continuous circle of balls with engraved stars all the way around. Each bead measures approximately 12.34 mm high x 4.79 mm wide and retails for €32, price includes vat. Today with some daylight coming through the front glass door. Taken outdoors a couple of weeks ago. Here is a video of these beautiful beads inside my small light-box. Subscribe to my YouTube Channel to get alerts when I share new video content! Over all, these beads are impressive and beautiful. If you are a fan of sparkly beads, then you will love these. All beads are universal and will fit all brands of bracelets. If you prefer a classic core glass beads, then you may purchase this style at Ogerbeads Official website. 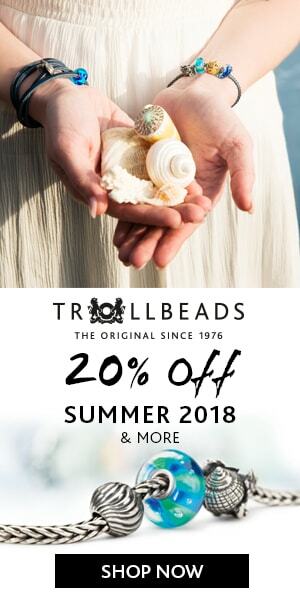 If you would like to shop for beads I have reviewed here in this article or browse the Ogerbeads collection, then you may do so at either of the banner links below. Both websites offer vat free shopping for those of us outside Europe. As always, I love hearing from you all! 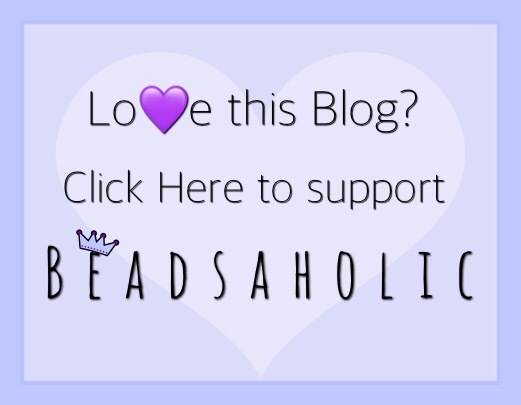 Do you have a favorite bead from this article? What beads would you like to see Ogerbeads release in the future? Feel free to leave me a comment below. ← Ohm Beads On the Bayou Registration Ends Soon! Lovely photos. I keep saying I am going to focus on collecting only two brands, but Evelien’s glass beads are so stunning (I have a bunch of her beads from her Etsy days). These colors are reminiscent of Elf and are so beautiful, hard to find in the other brands. The price point is also so much more reasonable, I will definitely be taking a look at the faceted glass, as it’s my favorite. Thanks for reviewing this fun new brand Paula. Gorgeous!